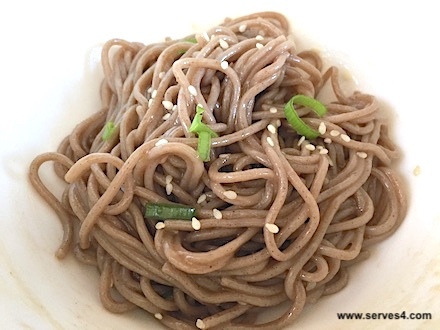 Here is a great noodle recipe for your vegetarian baby, made using soba (Japanese for buckwheat, contains a ton of health benefits) noodles. 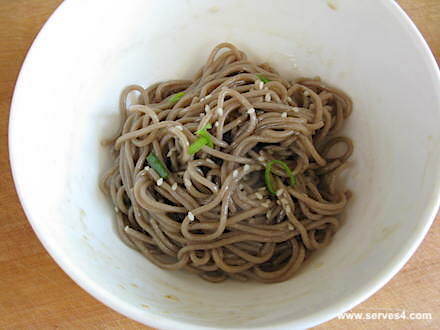 Despite its name, buckwheat is not actually a cereal grain but a fruit seed, which means it is gluten-free. Buckwheat has been shown to benefit the cardiovascular system, with regular consumption being linked to a lower risk of developing high cholesterol or high blood pressure. Another buckwheat benefit is its potential to control blood sugar levels and therefore lead to a lowered risk of developing diabetes. 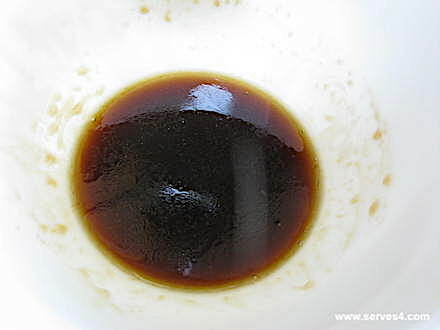 I have used regular soy sauce in the recipe below, which does contain a bit of gluten. But you can substitute this with gluten-free soy sauce, which is readily available, to make a completely gluten-free meal, ideal for those with an intolerance or coeliac disease. This dish is also dairy-free, so great for non-dairy eaters and vegans. 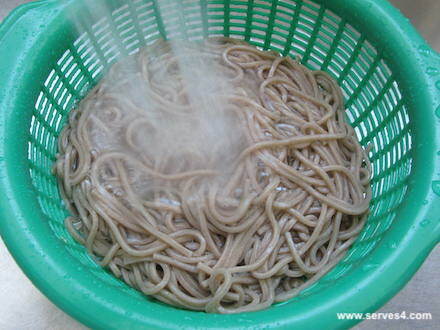 One word of caution: many supermarket brands of soba noodles also contain wheat flour, so check your ingredients carefully. 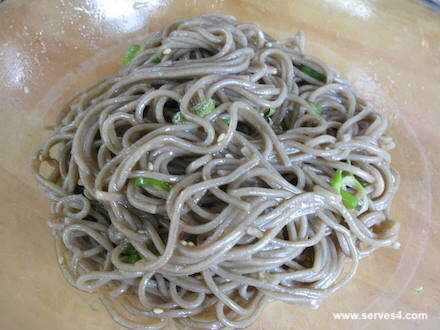 I find that the organic varieties tend to be wheat-free and made of 100% buckwheat. You'll notice I say that the freshly grated ginger is optional. Ginger has quite a strong taste, and it can even be a bit spicy, if raw, so you may wish to leave this out for small babies until they are tolerating a wider variety of tastes. Noodles are always fun for children to eat, particularly as they get older and perfect their slurping skills. If your baby is still small, you may find it easier to chop the noodles into shorter segments and feed him from a spoon. You can serve this dish as a main meal or as a side dish - favourite pairings include grilled salmon or boiled egg. This recipe yields approximately 2-3 children's portions, if serving as a main meal. When done, drain and rinse with cold water, and set aside. 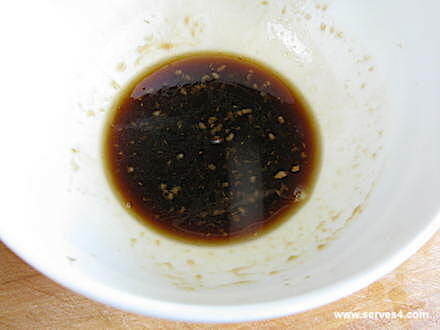 In a bowl, add the vinegar, soy sauce, sesame oil and honey, and whisk together for a few minutes until well-combined. Add the garlic and ginger, if using, and stir to combine. 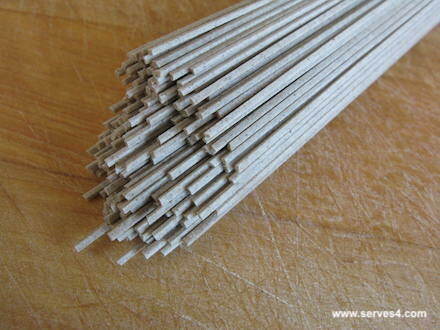 Add the cooked noodles, and toss together until all the noodles are well-coated. Sprinkle the spring onion and sesame seeds on top, and toss again gently.